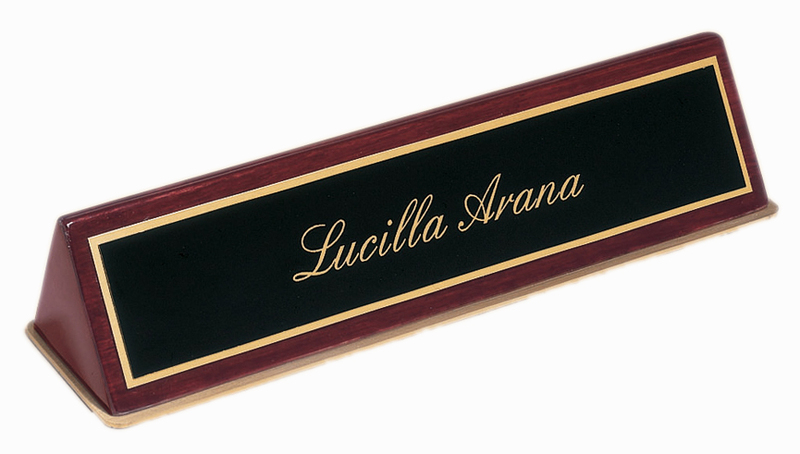 10" x 3" glass desk plate. 10" x 2" glass desk plate. 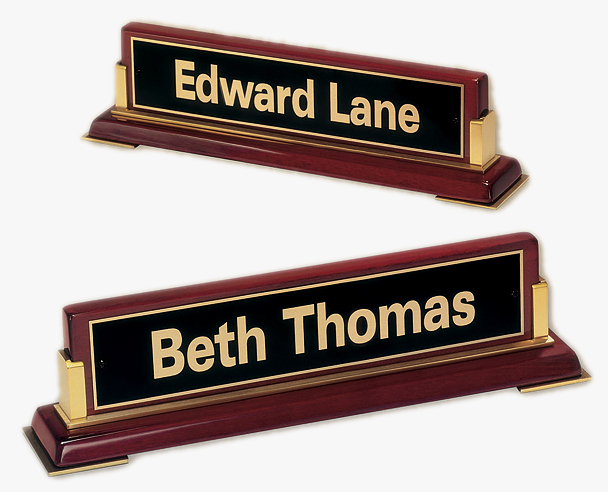 9-1/2" x 2-1/2" desk plate with black brass plate. 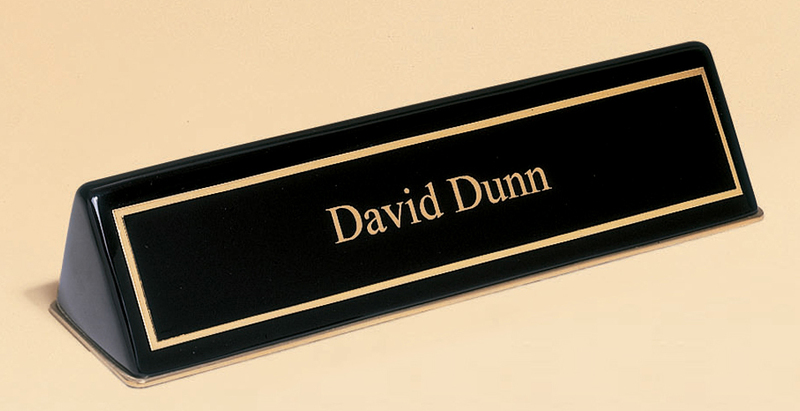 10-5/8" x 2-3/4" desk plate with black brass plate. 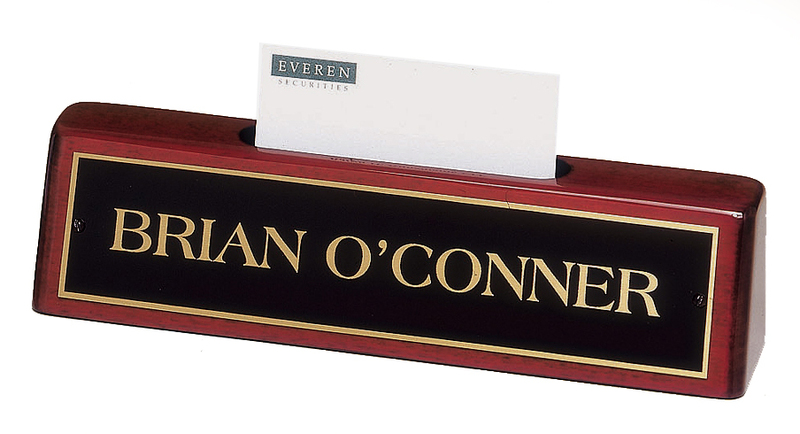 8-1/4" x 2" desk plate with black brass plate (holds standard 3 1/2" long business cards).